Industrial interiors converted into urban residences. The first conversions of factories and warehouses to residential spaces took place in the 1950s and ’60s. A decline in manufacturing meant that many inner-city industrial buildings became vacant, attracting the first wave of urban pioneers – artists seeking cheap rents and large interiors to use as studio spaces. Since then, ex-industrial areas in many cities have become sought-after residential districts and the trend shows no sign of abating. 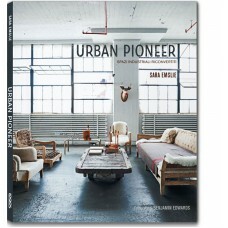 In Urban Pioneer, Sara Emslie discovers the world of homeowners and renters who are boldly converting ex-industrial and non-residential spaces into imaginative contemporary homes. The author analyses the main features of this style, from the red brick walls, to the copper piping and exposed beams, as well as the growing popularity of industrial design. From task lighting, to station clocks, from hospital beds, to cast-iron radiators and factory stools - thanks to their no-nonsense, utilitarian styling, such products are now sought-after style statements, whether they are vintage pieces or modern interpretations of original designs. All the more, the book presents 12 inspiring and varied real-life homes in which the Urban Pioneer look can be admired in every room. Sara Emslie is an established interiors stylist and writer, currently living in Richmond, London. With more than 15 years experience, her work is regularly featured in magazines such as World of Interiors, Homes & Garden, Livingetc, Red, YOU and the Daily Telegraph. Her modern and comfortable style is successful among many important commercial brands. She published the best-seller Beautifully Small with Ryland Peters & Small and Spazi piccoli e belli. In Urban Pioneer, author and stylist Sara Emslie investigates the practice of transforming industrial spaces into homes and guides the reader through twelve inspirational homes that showcase the very best of industrial style. 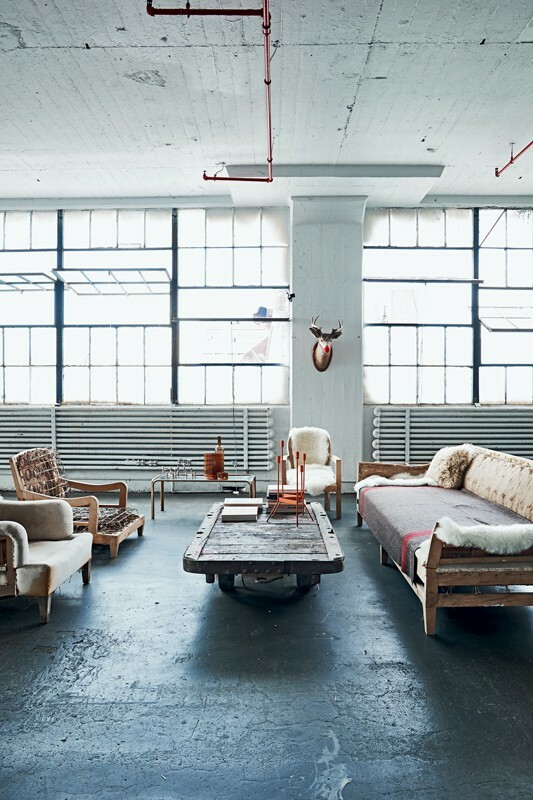 Following the decline in manufacturing, in the 1950s and 1960s many old factories and warehouses were abandoned, therefore huge spaces became available and drew special attention from artists looking for cheap rents and large interiors to use as studio space where they could comfortably devote themselves to their activities. 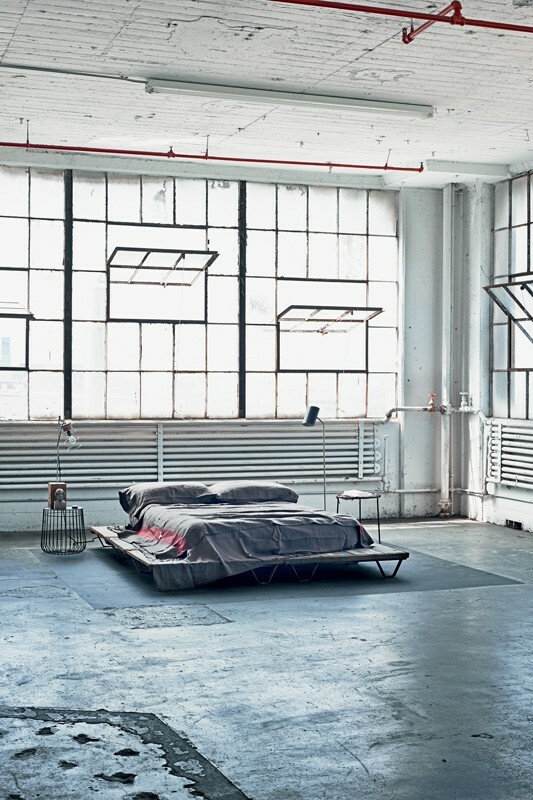 The first wave of urban pioneers started to conquer ex-industrial and commercial spaces and personalise them with specifically designed or repurposed products with the aim of creating unique homes with a distinctive aesthetic. Ex-industrial areas in many cities have become sought-after residential districts, starting an ongoing trend, with a second generation of pioneers now converting warehouses, schools, factories, pubs, offices and retail spaces into modern homes. Making the most of the peculiar characteristics of industrial spaces – structural elements playing a major role, huge windows, airy open-plan spaces, exposed brickwork on the walls, wooden floors, and even imperfections such as rust and peeling paint – urban pioneers turn anonymous interiors into exclusive homes filled with their own personality. Furniture and accessories should be carefully chosen: salvaged pieces such as neon lights, station clocks, beds with metal frame, cast-iron radiators and factory stools consolidate the industrial style whereas accents of colour, soft fabrics and plants can create exquisite contrast effects. 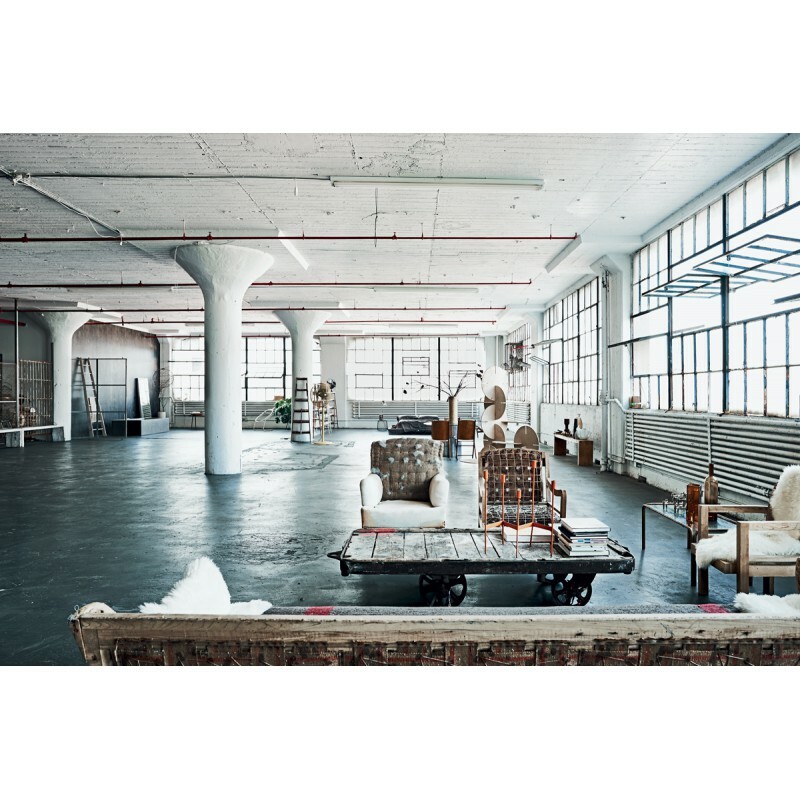 The wide spaces of former warehouses or factories are particularly suitable for showcasing the most varied collections of the owners, sometimes turning into real galleries at home. In the introductory pages of the volume, the author examines the most important questions concerning the renovation of former industrial spaces and provides a few guidelines and suggestions for the benefit of those who are willing to undertake a virtually long, expensive and complicated process that will award them with the satisfaction of breathing new life into a neglected or abandoned building. Buying a home that has already been converted means that you don’t have to undertake a demanding renovation but, on the other hand, the investment required from those who buy an entire building – in terms of time and money – is balanced by virtually limitless possibilities of intervention on a stylistic level. Before undertaking a conversion, first of all you must comply with the legislation on this matter: planning permission will be required for any additions or extensions that increase the size of the building and to change a building’s use you need consent from the competent authorities, which is not automatically granted especially if the building is considered to be of historical significance. After getting the required permissions, you will need to hire professionals to remove any materials that don’t comply with today’s health and safety standards (such as lead paint or asbestos tiles). At this stage, with due regard for the building’s existing structure, you will need to plan the interior starting by deciding whether or not to section off the large spaces that are typical of these buildings. 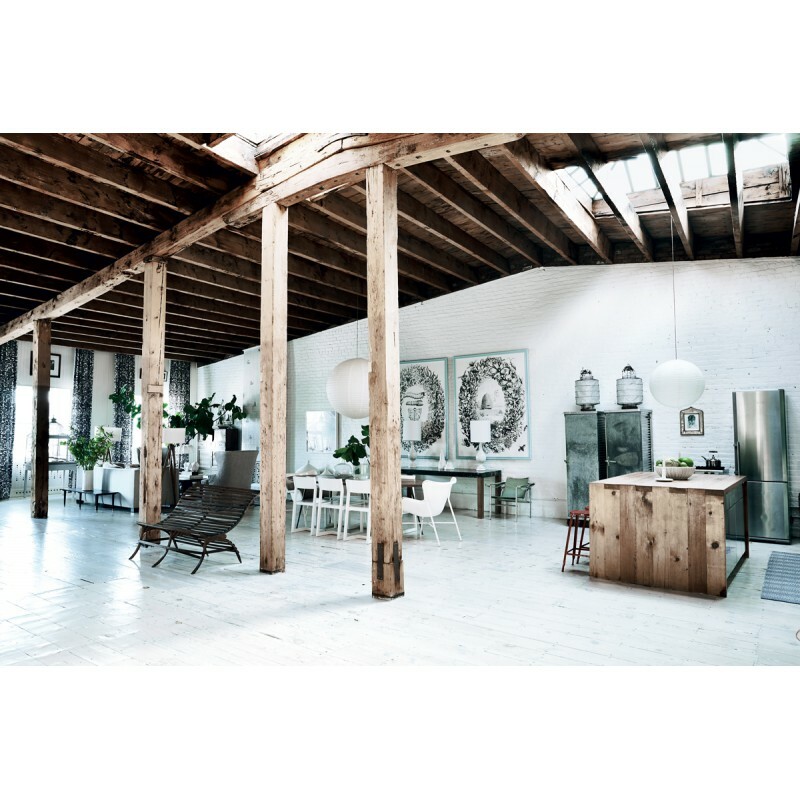 Open-plan lofts may be divided up into smaller spaces with partitions, walls or pod-like structures, profiting of the high ceilings to create mezzanine levels and possibly considering the addition of new floors or a basement level, subject to planning consent. Now it is time to deal with the details, considering that the raw materials and bare bones of a building structure are the soul of industrial design. In this respect, it will often be worthwhile to keep imperfections unchanged, preserve exposed brickwork by protecting it with a clear varnish, leave concrete beamed walls and ceilings, and concrete floors uncovered. You can reinforce the industrial aesthetic by choosing new materials such as steel joists, wire-mesh glass and wide timber boards, whereas ply flooring and steel-framed glass walls will add a touch of modern elegance to the spaces. Scaffolding poles are perfect as sink units or shelf supports and, when factoring in plumbing and heating, you can place cast-iron radiators bought from specialist dealers and surface-mounted copper piping in any part of the home. Now it is time to express your creativity: so you can begin the scavenger hunt through flea markets and specialist dealers to choose furniture and accessories suitable for an industrial style déco. Lamps, chairs, decorative finishes, fabric and textile, kitchen tools, restored steel filing cabinets, wire baskets and much more… the author dwells on the countless options at your disposal, without neglecting the green corners that can add a natural touch to a concrete and metal landscape. 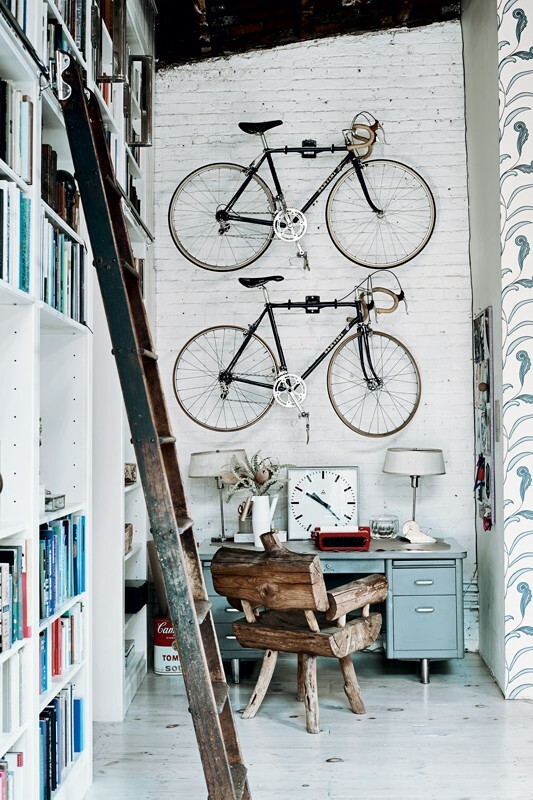 Vintage pieces as well as industrial furniture can be used as they are or repurposed as is the case of a ladder used to support the wooden planks of a shelving unit. Anything may be repurposed as a decorative element, such as bikes hanging from a wall, not to mention the beauty to be found in the imperfections of ordinary objects – the frayed remnants of patterned silk or the rich patina of a battered old leather and the exposed framework and springs of a sofa. After detailing the various steps of the conversion of a former industrial building into a home, the author guides us through a fascinating tour of a few eclectic homes exemplifying the aspects examined so far. With the help of the amazing pictures by Benjamin Edwards alternating overall views and details of the featured interiors, the author shows us twelve meaningful projects, focusing not only on the design concept and choices, but also on the history of the buildings and their relationship with the urban pattern. Page after page, you will be enchanted by the bizarre colours of a former carpenter’s warehouse in the heart of London’s hip Shoreditch transformed into a welcoming home with a bold aesthetic; you will breathe the airy atmosphere of a former waterside warehouse in Brooklyn turned into a large loft with a raw, deconstructed aesthetic; you will be charmed by the original Art Deco pieces and the boho details of one of the lofts in a converted factory building in London’s East End; you will discover that you can maintain the original spirit of an old school or a former ship chandlery turning them into modern and cosy homes; and you will pause to admire a rich collection of contemporary art in a former warehouse. An inspirational tour and an eye candy, guided by the watchwords Creative, Boho, Utilitarian after which the three chapters about the inspirational interiors are named, each word coming together with a list of key expressions – unconventional, experimental, unfinished, mismatched, curated, spartan, solid… – that can be used as starting points for our design choices and constitute the vocabulary of the perfect urban pioneer style.